Flying. 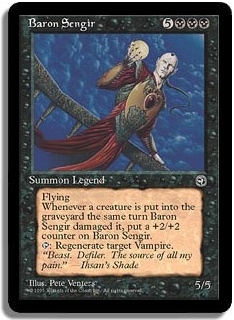 Whenever a creature is put into the graveyard the same turn Baron Sengir damaged it, put a +2/+2 counter on Baron Sengir. <T>: Regenerate target Vampire.